It's Easter weekend and I made sure to have some appropriate film choices. With Winnie the Pooh, VeggieTales and Looney Tunes, I haven't quite taken out the big guns yet. That's to come Monday when I'm planning on watching The Ten Commandments (1956). Had to make sure I had nothing planned on that day you know. 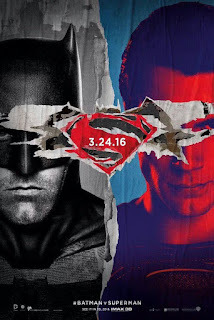 I ended up seeing Batman v Superman: Dawn of Justice when a friend who had a spare ticket offered it to me. Who was I to even think of saying no? Obviously you can read what I think of it below, but I'll just say that I don't think it's as bad as people are saying. 29% on Rotten Tomatoes (at the time of writing this) strikes me as a bit ridiculous, but hey, that's just me. There's no question that the film is far from perfect, but I left the cinema with lots to talk about with the company I was with and excited about the future of DC superhero movies. I think it's normal to first ask yourself, "They made a sequel to Rosemary's Baby?" Because I certainly did. I will say that I was pretty curious to see what LWHtRB had to offer, in a morbid curiosity kind of way that is. As expected, there's more laughs to be found than there are chills, half chills or quarter chills. While it's nice to see Ruth Gordon back as the seemingly nice old lady, the coven that she's a part of is hard to take seriously this time around and their abilities fail to instill any sense of dread. I actually like Stephen McHattie as an actor, but he strikes me as too old for the role and he has to fight pretty hard against the material he's given. While it's no surprise that this fails as a follow up to RB, it fails as a film as well. The best thing about Aladdin and the King of Thieves is that it's not as bad as Return of Jafar is. That's just about its only real positive though. While it's great having Robin William back as Genie, having him make references to other Disney movies almost every second is irritating and unoriginal. Sure you can have him make a tongue in cheek joke about synergy being a viable strategy but the point still stands. John Rhys-Davies is a good presence and so is Jerry Orbach as the main villain actually. 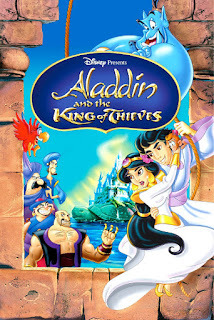 There's just very little to like about Aladdin wanting to find his missing father and the songs are unmemorable which is never a good thing for a Disney movie. It was still easy money for the House of Mouse though. Superman: Unbound has some cool story elements where Superman delves into the death of his planet and also has a villain who seems like a pretty tough matchup. Brainiac who boasts about having the knowledge of 10,000 worlds is a tough cookie and he's well voiced by John Noble. S:U still disappoints overall though. That's because of Supergirl coming off as way too whiny for my tastes and because of Lois Lane being completely unreasonable in expecting Clarke to be able to settle down with her and have a normal life. 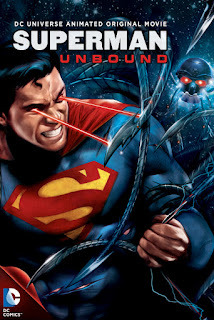 I have some other quibbles such as the animation being disappointing in places, the humour falling flat and the tension lacking at key moments which makes S:U among the weaker DC Animations. Hollywood pumps out a lot of bad comedies. They also release ones that not only disappoint, but can actually anger. My Best Friend's Girl is one of those for me personally. This is a movie that takes the absolute worst of burns that were cool in high school, awful people being awful to one another, Jason Biggs making a fool of himself and puts that all together in one ugly 90 minutes. 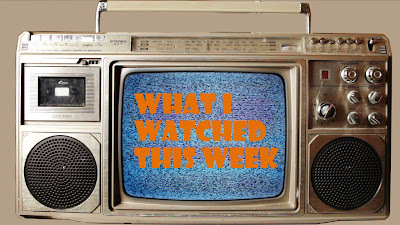 I wanted to watch something else after about ten minutes, but bravely pressed on to...what? Humour? Romance? Charm? Wit? No. None of these things can be found in My Best Friend's Girl. It is better than Good Luck Chuck though, so I guess that's something. 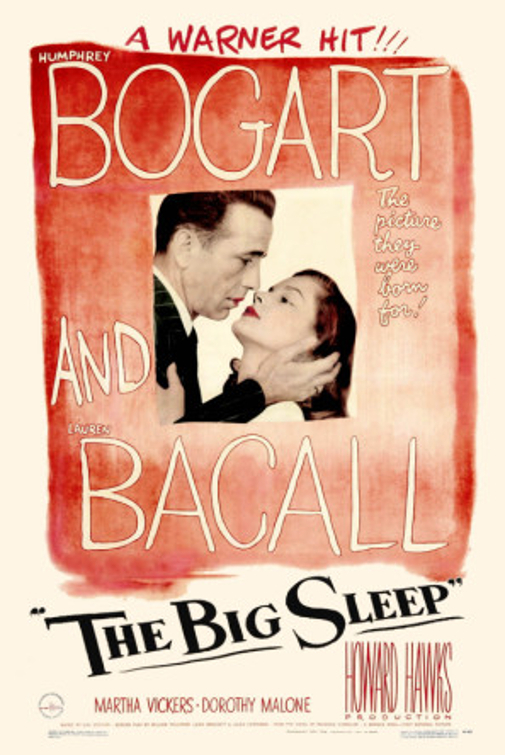 Continuing on with watching all the Philip Marlowe movies that were put out, The Big Sleep was unsurprisingly my most anticipated. Bogart and Bacall could not be better than they are in their roles and they boast some pretty impressive chemistry together. The tone and mise-en-scène are picture perfect, as is the story. I'll admit that it's the kind of story that isn't easy to follow and I had to resort to the Wikipedia synopsis multiple times to keep up despite my best efforts. At the same time, I think that it's something that works in the film's favour. 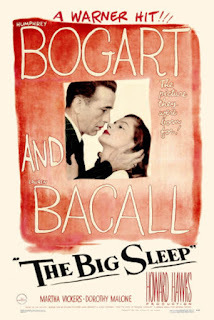 If all else fails, The Big Sleep is worth watching for Bogart and Bacall alone. It's still very strange to me seeing Morgan Spurlock at the helm of a movie like this. A man's got to eat I suppose. 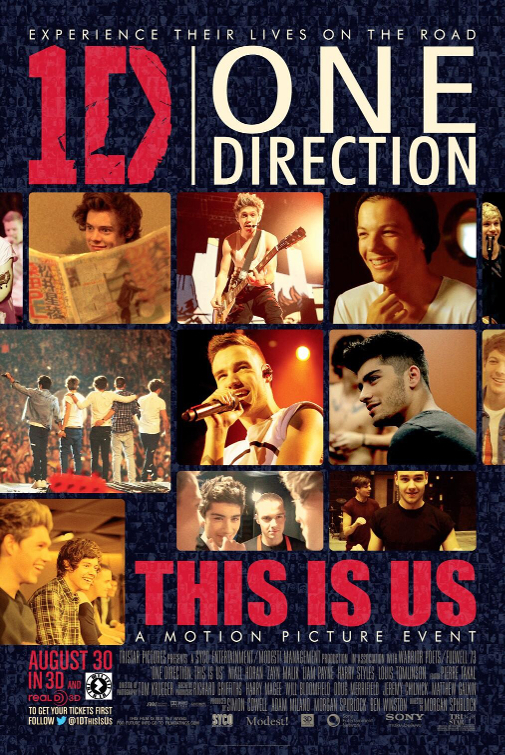 Anyway, I'll admit that I knew close to nothing about One Direction before watching this. 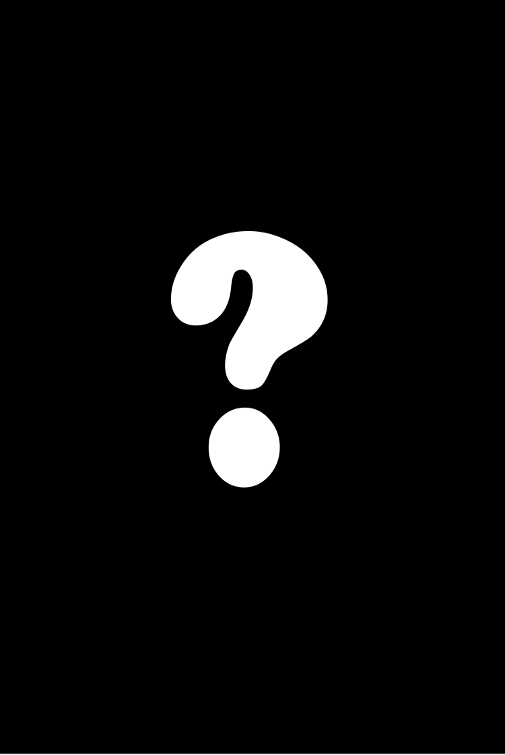 I'm going to sound like I live under a rock, but I didn't know any of their songs and the only member I know by name is Harry Styles for whatever reason. Do I know more about them after watching OD:TiU? Not really honestly. All I know is that there's five of them, they sing catchy but easy rock/pop songs and they like to think of themselves as regular guys. Inserting special effects during the concert sequences was a pretty lame decision, but mostly it just irks me at how scripted this "documentary" really feels. 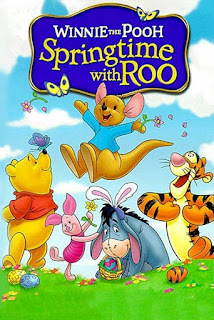 The modern entries of Winnie the Pooh have been hit or miss for the most part and I wasn't really expecting much out of Winnie the Pooh: Springtime with Roo. I was proven mostly right at the beginning with several instances of less than desirable slapstick and jokes that just seemed out of place in a Winnie the Pooh movie. 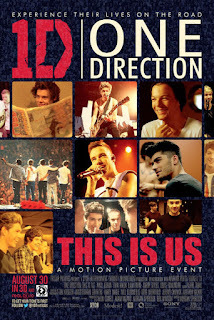 That was true until the climax and ending which is irresistibly sweet and touching. The inspiration from A Christmas Carol is obvious, but that's OK. 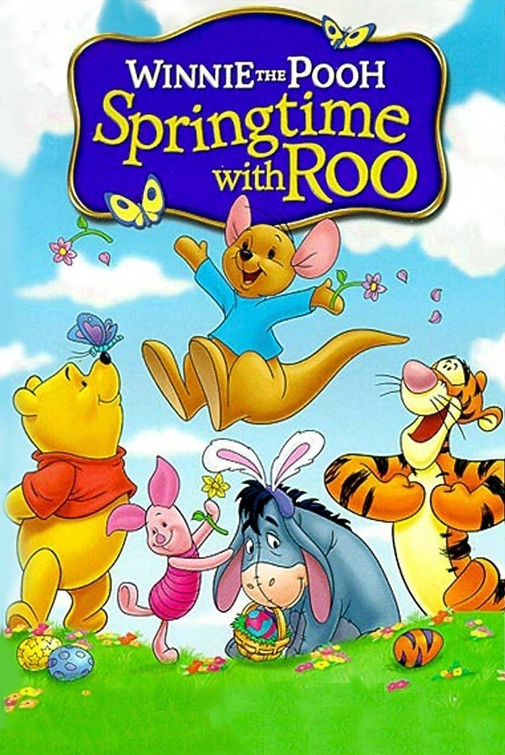 While it's no masterpiece, it's a nice little movie for kids that won't offend fans of Pooh. Negativity around BvS is strong right now, but I really do believe it's possible to enjoy the film despite its deep rooted issues. What it boils down to is that BvS should have been two or even three movies. There are just way too many storylines and characters to be able to fit into 2 hours and a half. There are also some pretty weak elements that don't really stand up on their own two feet, but all of this still didn't stop me from enjoying the action and the characters (although I wish Lex were a little less over the top). This is a clear case of cramming too much stuff into one movie and I hope the three hour director's cut can alleviate the problem. 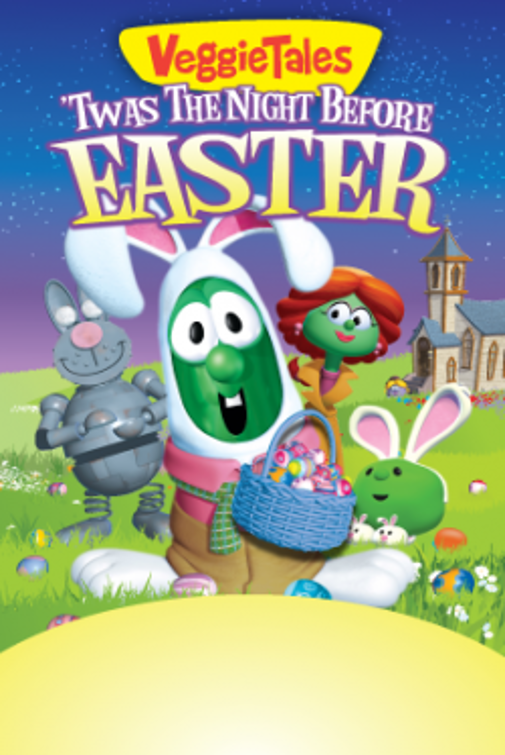 My feelings for VeggieTales is pretty clear at this point, so there's no need to get too deep into Twas the Night Before Easter which follows in the footsteps of An Easter Carol as a Christmas-inspired Easter movie. Attempting to get the message out that Easter isn't just about getting chocolate, it follows Marlee Meade trying to get the winner of an American Idol inspired talent show to be in her Easter-themed stage show. It even has Idol finalist Melina Doolittle doing a voice. While I guess it's nice to have an actual singer on board, TtNBE feels lazy and uninspired, as if having the voice of Doolittle is enough to make that OK. There's nothing insightful or inspiring about this VT entry but worst of all, it's no fun. This is one of the Looney Tunes cartoons where Bugs Bunny is not quite the good guy he is in the later cartoons, but that doesn't mean he's any less likeable. I mean, he had every right to get into that tussle with the bratty kid and who doesn't like to mess around with Elmer Fudd anyway? Mel Blanc is as likeable as he always is with his voice acting and he's fed some great lines. 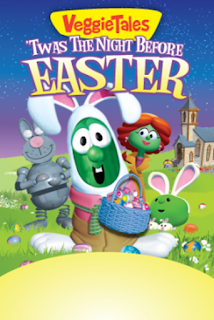 There were some gags in here that got me pretty good, making Easter Yeggs an absolute hoot. It's not on the same level as the Chuck Jones masterpieces, but at the end of the day, no one did cartoon violence like Warner Bros and Easter Yeggs is one of the best examples of that.